We have been praised for our service-driven, knowledgeable and efficient advice, according to this year’s Legal 500. We have secured six number one rankings across a range of legal sectors including banking and finance, education, debt recovery, charities and not-for-profit, commercial property and is the only firm in the North to be ranked for sport. The Legal 500 researchers highlighted our responsiveness, knowledge and service-led approach as some of the key reasons why the award-winning firm continues to maintain its top tier rankings in the respected annual series. Driven by managing partner, Jason Wainwright, we are working to cement Muckle as the leading business for businesses by providing exemplary all-round service to clients beyond just legal advice. Jason hopes our recognition as a leading law firm will further bolster our reputation as an approachable, trustworthy and transparent business that puts its clients’ needs at the heart of its service. He said: “For Muckle to be recognised as a ‘stalwart player in the North’ across a range of sectors is a testament to the hard work of every single member of the Muckle team. “We’re lucky to have a vast array of experts who share our vision of providing straightforward, high quality advice at value-for-money rates. Our performance in the Legal 500 reflects how we are regarded within the industry and, more importantly, by clients. Earlier this month, we scooped three awards at the Insider North East Dealmakers Awards including Corporate Law Firm of the Year for the seventh time. This came after Experian CorpFin revealed our corporate team had advised on more mergers and acquisitions in the first six months of this year than any other law firm in the region. A position we have retained since 2014. The ‘excellent’ banking and finance at Muckle retained its first tier ranking for the third consecutive year. In the sport sector, We continue to lead the way regionally, providing an ’excellent service’ to professional sports clubs, players and national governing bodies. Team head John Devine and associate Jessica Swindells are praised for their knowledge and passion in the field. John’s “reassuringly personal service” in the charities and not-for-profit sector also helped us retain our top ranking for the fifth year in a row. Our ‘superb’ Education team also retained their first tier ranking. The team has supported nearly 70 schools in the region in their governance arrangements around creating academy trusts, multi academy trusts, studio schools and free schools as well as day to day legal support to many more. 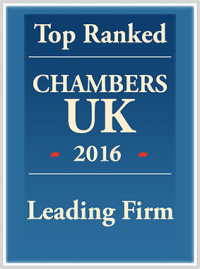 Our commercial property expertise was also commended again this year with a Tier 1 ranking. This year also saw us become the only law firm, with a head office in the region, to hold the Investors in People Gold accreditation and the Investors in People Health and Wellness Award. To read more about our award winning experience click here.